India premier educational institutions are making a mark in the global educational forum as 31 Indian institutions made it to the world's top varsities. India premier educational institutions are certianly making a mark in the global educational forum. A record 31 Indian educational institutions have made it to the world's top varsities as per the 'Times Higher Education (THE) World University Rankings 2016-17' list released on Thursday. 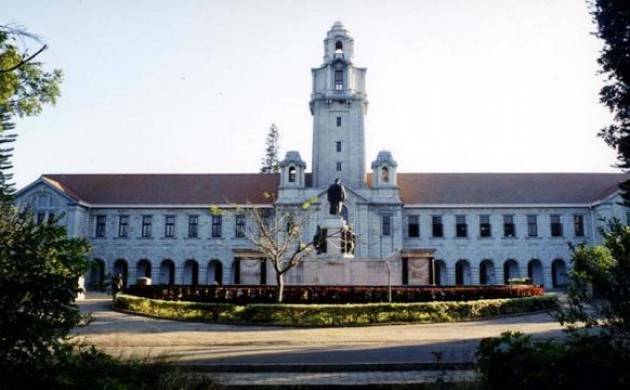 The Indian Institute of Science (IISc), Bangalore ranks as the India's top institution in the list.The institute has leapfrogged 50 places from its last year's rank.The exclusive list is topped by the University of Oxford. Only two Indian universities have made it to the top 400 universities' list. IISc (201-250 group), up from last year's 251-300 group, is accompanied by the Indian Institute of Technology (IIT), Bombay (351-400 cohort) in the top 400 table. There is no Indian university in the coveted top 200 list. This year's list, which includes 14 new entrants, is topped by University of Oxford, the first UK university to top in the 12-year history of the table. Five-time topper California Institute of Technology came second while Stanford University was ranked third. South Asia as a whole has almost doubled its representation in this year's list of the world's top 980 universities, claiming 39 places, up from 20 last year. Sri Lanka makes its debut in the table with the University of the Colombo in the 801+ band, while Pakistan has five new entries, taking its total to seven. "But the star of the region is India, which has 31 universities in the list. Its leading university the Indian Institute of Science is edging closer to the top 200, claiming a spot in the 201-250 band, its highest ever position and the country has four new entries in the top 800," said Phil Baty, the editor of the THE World University Rankings. "India's strong performance is partly thanks to the country recognising the importance of participating in global benchmarking exercises; just last month the government launched a new funding-backed project aimed at catapulting Indian Institutes of Technology to the top of world university rankings," he said. Baty described as "encouraging" that the Indian government had displayed an ambition to create world-class universities, witnessed by the country's leading institutions "edging towards the world top 200". The other Indian universities on the list include IIT Delhi, IIT Kanpur and IIT Madras, all within the 401-500 ranks, and IIT Kharagpur and IIT Roorkee in the 501-600 band. India has 19 institutes in the top 800, two more than last year and 12 others in the 801-980 band. Overall, India has 31 institutions, including 14 new names, in the list of 980.